Best Dog Carrier Backpack: What Would Be Best for Your Small Dog? Choosing the best dog carrier backpack can be tricky. 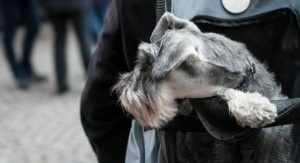 If you’re always on the go and have a small dog, a good dog carrier backpack can make transporting your dog easier. Small puppies who wouldn’t normally be able to go on long hikes can hitch a ride using a dog carrier backpack. They’re also great for airports and other busy places where your dog might get overwhelmed or … [Read more...] about Best Dog Carrier Backpack: What Would Be Best for Your Small Dog? 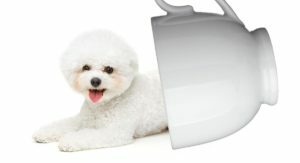 Teacup Bichon Frise – Would A Tiny Version Of This Popular Breed Suit You? The Bichon Frise is a small, fuzzy, white dog that has begun growing in popularity over the last few years. These dogs resemble a Shih Tzu in personality and adorableness. But they suffer from fewer health problems. This makes them a great choice for anyone looking for a small lap dog. But what if you want a dog that is even smaller than a normal-sized Bichon Frise? Do Bichon Frises come in … [Read more...] about Teacup Bichon Frise – Would A Tiny Version Of This Popular Breed Suit You? With their flowing hair and small size, the Shih Tzu is one of the most recognizable dog breeds. They are known for their calm, loving nature and unique appearance. Their small size and low exercise requirements make them particularly suited to apartment living. 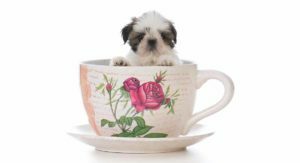 Despite the Shih Tzu’s already tiny size, there have been some whisperings of a teacup Shih Tzu. But does this incredibly … [Read more...] about Teacup Shih Tzu – Do You Know About This Tiny Hybrid? 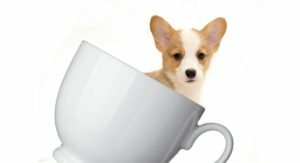 Teacup Cockapoo – Should You Really Consider This Tiny Crossbreed? Is there really such a thing as a teacup cockapoo? And, how does it differ from a usual Cockapoo? The Cockapoo is a mix between the Cocker Spaniel and Poodle. This small breed has become extremely popular in the last few years. 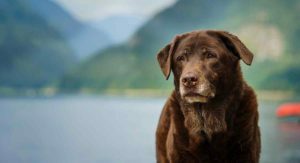 Many people praise the outgoing loving temperament of these low-shedding dogs. While they love to play—many owners report that Cockapoos are particularly fond of … [Read more...] about Teacup Cockapoo – Should You Really Consider This Tiny Crossbreed? 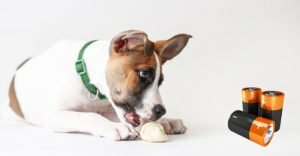 Dalmatian Lab Mix – What Can You Expect From This Cute Cross? The Dalmatian Lab mix is a pretty new hybrid but gaining in popularity. 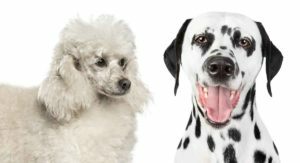 Like the name might suggest, these dogs are the result of crossbreeding a Dalmatian and a Labrador Retriever. Affectionately called the Dalmador, this hybrid is known for its intelligence, athleticism, and outgoing temperament. 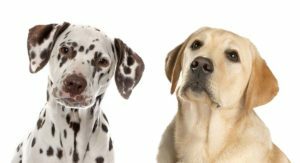 However, just like any dog breed, there is more to the Dalmatian Lab mix than meets the … [Read more...] about Dalmatian Lab Mix – What Can You Expect From This Cute Cross? Lhasa Apso vs Shih Tzu – Do You Know How to Tell Which Is Which? Lhasa Apso vs Shih Tzu: can you tell the difference? The Lhasa Apso is a lesser-known dog that has been around for at least a thousand years. They’re super fluffy, adorable, and energetic. A Shih Tzu, on the other hand, is a more popular dog breed. They are generally known for their long flowing coat and loyalty. 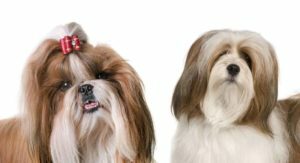 If you’re looking at a picture of the two breeds, it can be hard to … [Read more...] about Lhasa Apso vs Shih Tzu – Do You Know How to Tell Which Is Which?